Another 'spend or save' post here today. 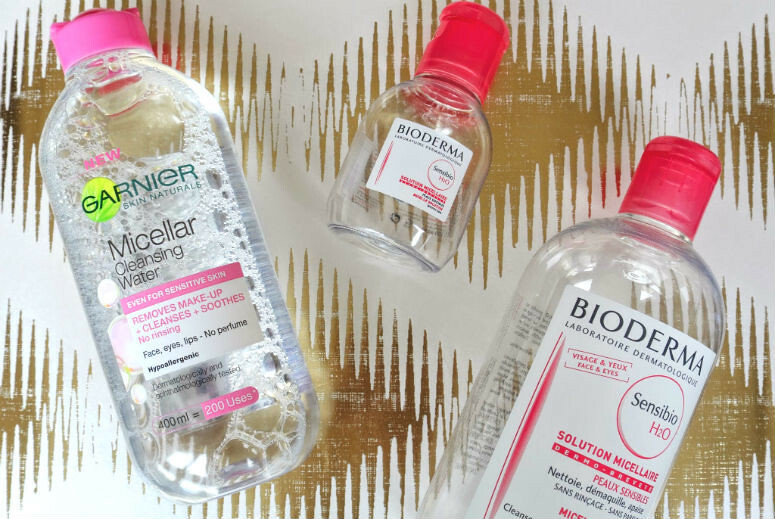 While I may have mostly given up on using micellar water in recent weeks, it doesn't mean I can completely take it out of my routine (it's convenient for using before I head to a post-work workout), so I thought I'd write up a quick post on a budget version against the beauty standard, Bioderma. Much as I loved Bioderma, and have sworn by it for the past two years, it isn't always the cheapest option. £15 for 500ml. Phew. I'm pretty sure it doesn't cost that much to make, so it's a pretty steep margin. You can find even steeper prices for them if you google around. Thankfully, the 'high street' has cottoned on and you can now get as good quality as the Bioderma for much cheaper. I personally found the L'Oreal Skin Perfection Micellar Cleansing Water a little drying and uncomfortable to use, so have abandoned this one. I then turned to the Garnier version, which worked and felt very similar on my skin to the Bioderma Sensibio, and at £4.99 for 400ml, I'm not complaining. I've also seen lately the Nivea Daily Essentials receiving praise, and recent adverts for Simple's new micellar water lauch, so there are plenty of budget ones out there that can do the same job as Bioderma, so it's a good idea to shop around and try things out, because some might feel better for you dependent on how they feel on your own skin. I have however included in the post picture a baby Bioderma bottle because it'd be great if the budget beauty ones started offering them up for travel. Also, who doesn't like dinky bottles for travel?